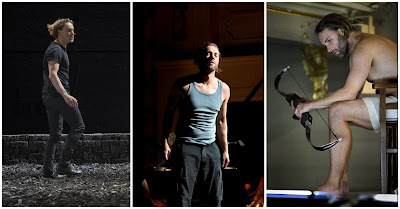 You can watch German barihunk and audience favorite Günter Papendell as Marcello in Barrie Kosky's new production of Puccini's La bohème from the Komische Oper Berlin from January 27 through July 26. The livestream can be seen on OperaVision. Kosky says that the opera is about death and the audience needs to shed a tear, but without sentimentalism. This production looks at how young people look at death. Kosky sees the opera through the daguerreotype, which was invented around the time that the story takes place. The remaining cast includes Nadja Mchantaf as Mimì, Gerard Schneider as Rodolfo,Philipp Meierhöfer as Colline, Vera-Lotte Böcker as Musetta, and Dániel Foki as Schaunard. If you want to see Papendell live as Marcello, he is performing the role on January 27 and 28, February 8, March 17, 22 and 30, and June 28 and 29. Tickets are available online, but many dates have limited availability. 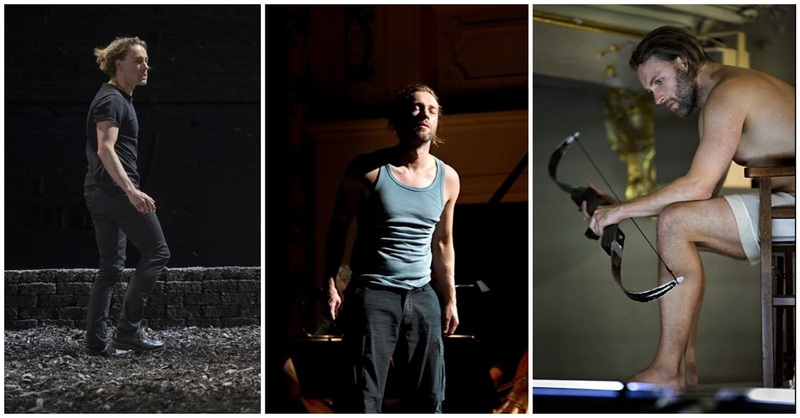 Papendell's other roles at the Komische Oper include Doktor Malatesta in Donizetti's Don Pasquale, Graf Almaviva in Mozart's Die Hochzeit des Figaro, Fritz Kothner in Wagner's Die Meistersinger von Nürnberg, Fürst Jeletzki in Tchaikovsky's Pique Dame, Sharpless in Puccini's Madame Butterfly, the title role in Mozart's Don Giovanni, Odysseus in the Monteverdi triptych, Achilla in Handel's Giulio Cesare in Egitto, and Pollux in Rameau's Castor et Pollux.